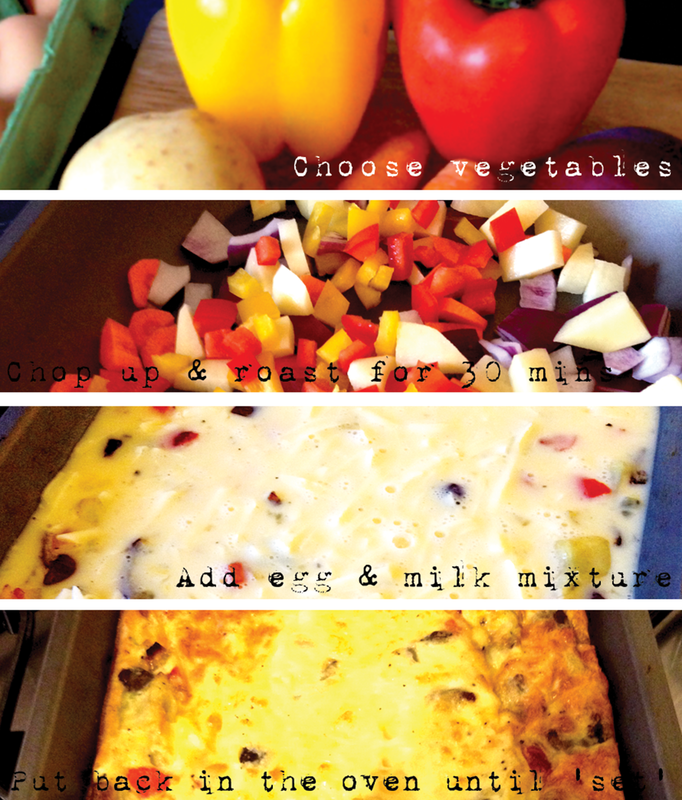 After seeking some 'what else can I take for lunch' advice from various people, mostly the lovely dudes and dudettes over at Box Bell Fit training centre, I have researched into a few different frittata recipes and combined a few ideas to make this super simple and very adaptable one! Scroll down for recipe! This recipe really is simple. The basics are that you choose your vegetables, roast them in the oven-where required (mine took 30 minutes), but if you were just having spinach in yours, for example, you just need to wilt it in a pan. Then you whisk up some eggs (I used 8 in mine) - you can add a splash of milk if you want to, some salt and pepper to taste and some cheese to if you like - basically you need enough eggs to cover your veggies! Once you have poured in the eggs just oven for however long it takes for the eggs to 'set', try not to over cook or it will be too dry. Cut up into portions and you are done! Another idea is to pour the mixture into muffin tins so you already have lunch time portions ready to go. It really is that easy and you can just add whatever you have in the fridge to the egg mixture. Get Ready With Me: Autumn Update!